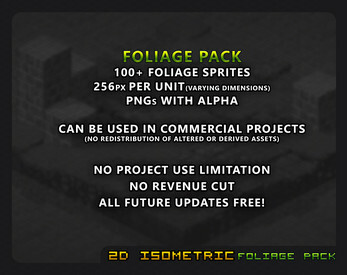 This package includes various sprites for trees, bamboo, bushes, cacti, grasses, waterplants as well as some rocks and more to fill your world with nature. 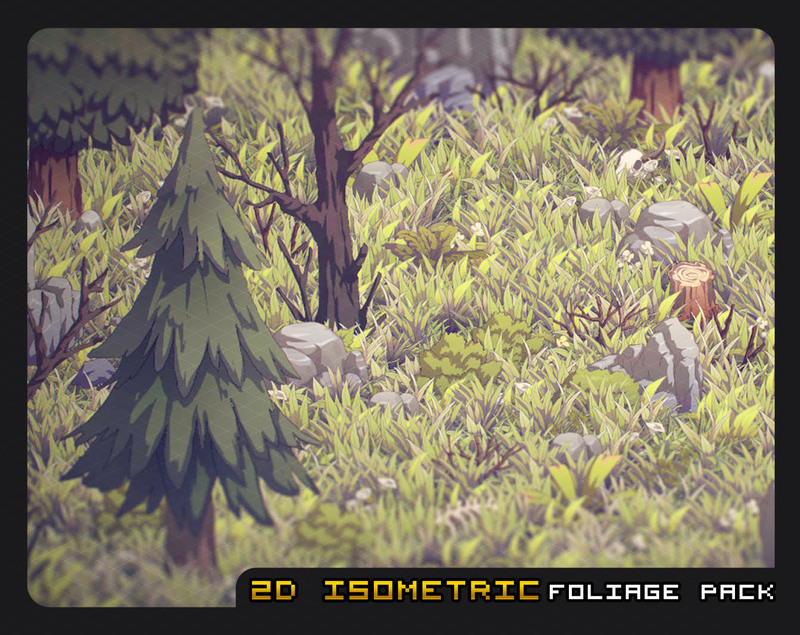 Also starring the infamous berry bush. 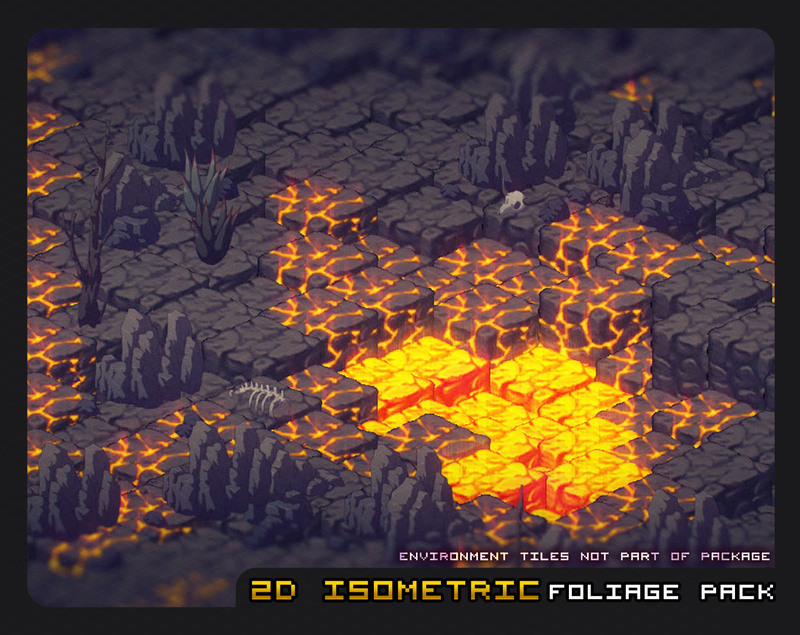 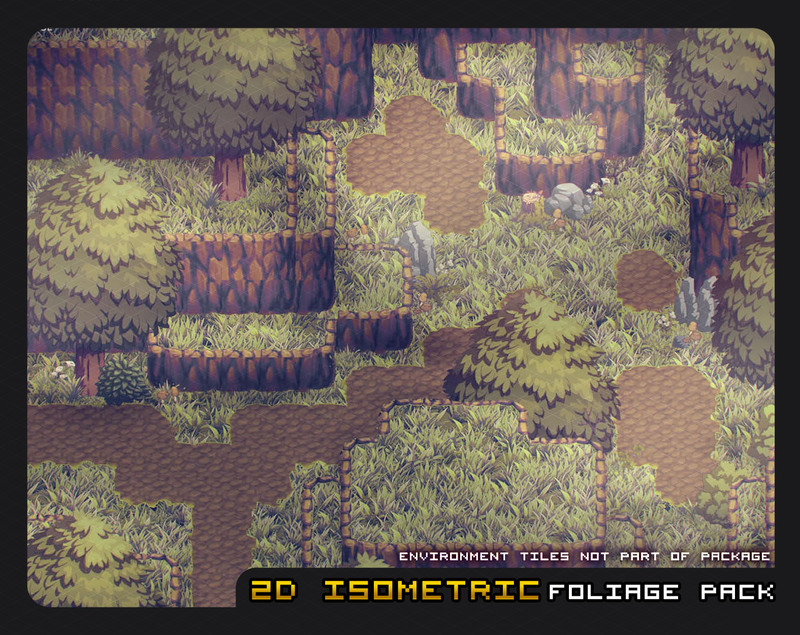 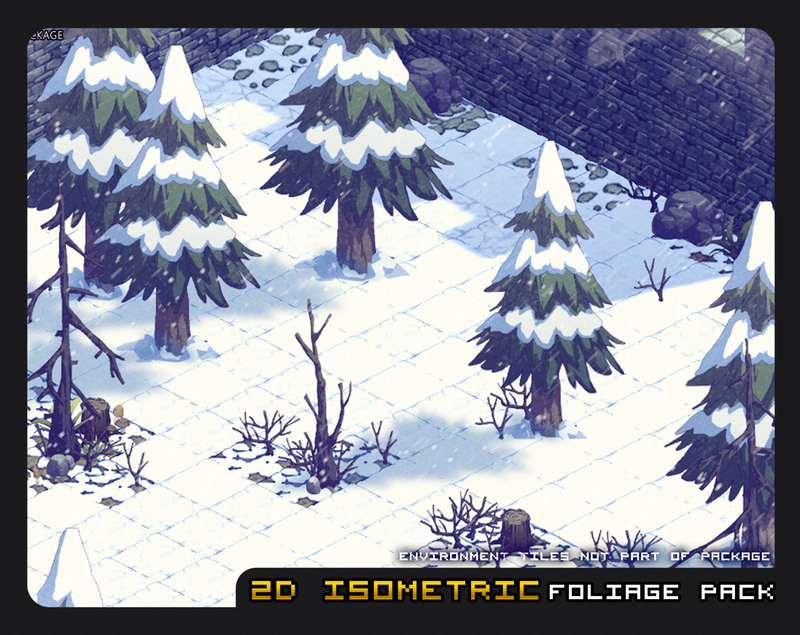 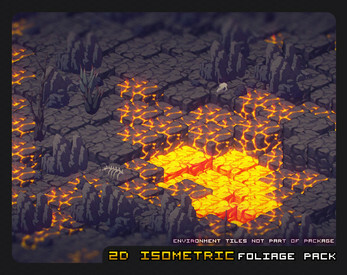 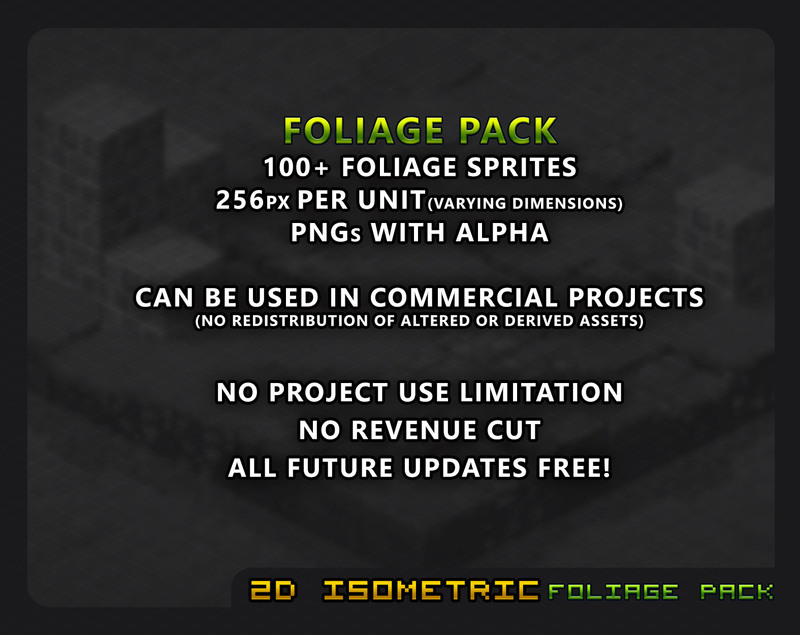 The foliage sprites can be used in isometric worlds as well as other Oblique and Top-Down Tilesets similar to the ones used in the RPG Maker. 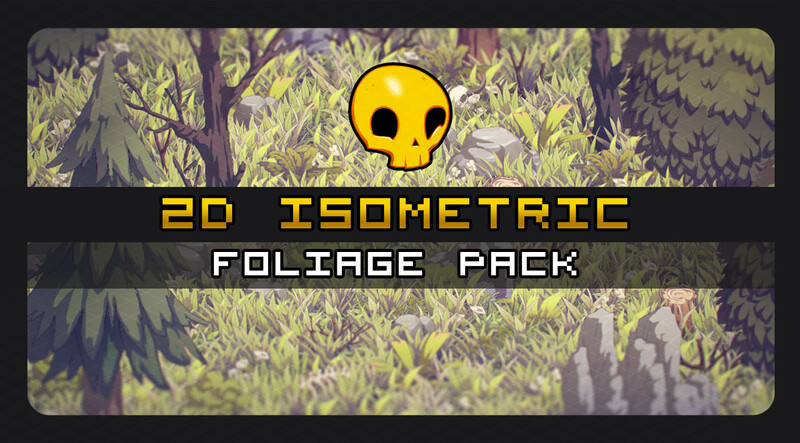 They are compatible with the SD version of our 2D Isometric Tile Starter Pack as well as our 2D Hexagonal Tile Starter Pack and we strongly recommend using them together to build your own landscapes.